CLG Biofrost Talks About Playoffs: "If we don't make it to playoffs, I hope the fans will still have trust in us to do well next split." 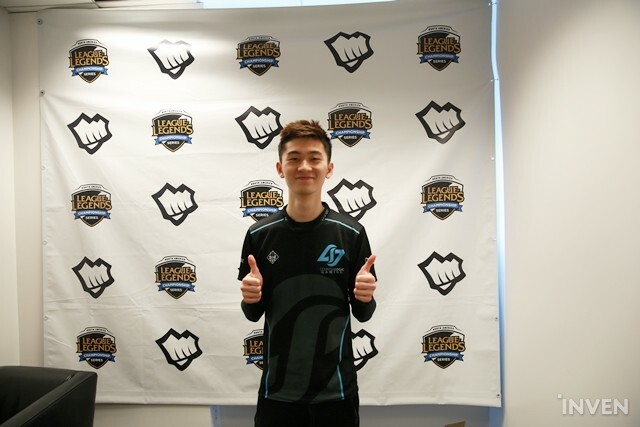 Winning 4 games consecutively, CLG is pulling the ‘CLG’. CLG had 2 weeks of rough matchups. Games against Cloud9, Team Liquid, and Echo Fox. Against the predictions and odds, CLG won all the games and is now in hot pursuit for playoffs. 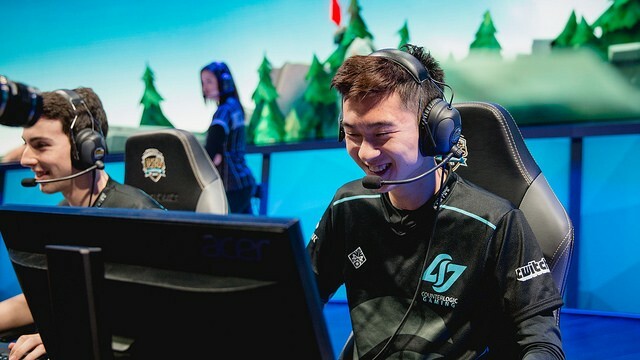 Winning when people expect CLG to lose and losing when CLG is expected to win, no one can predict what the end result for CLG will be. What is for certain is their incredible determination and positivity. Hearing from Reignover last week, Reignover was confident and uplifted about his team. Although CLG had a rocky start, the team in no way had let the results get in the way of their morale. After the game against Echo Fox, Inven Global interviewed CLG’s support, Biofrost. 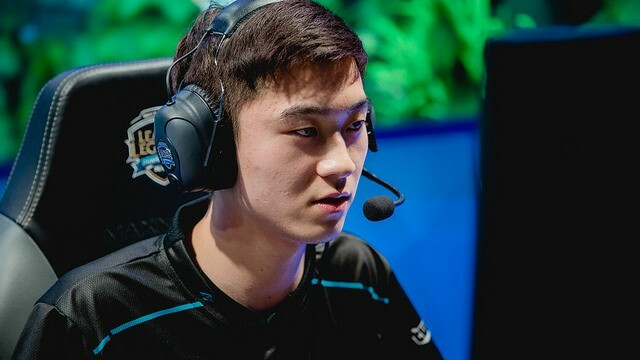 Let’s see what Biofrost has to say about CLG’s morale, issues, and Reignover. ¤ How do you feel about your win against Echo Fox? It feels really good. We have to win all of our games to make it to playoffs so, we just have to win every game (laughs). ¤ From what we have heard from Reignover, CLG’s team atmosphere is very uplifting and positive. What are your opinions on the team’s atmosphere right now? I think the atmosphere is pretty good. Of course, it is also due to the fact that we won our past 4 games. Overall, everyone just wants to make it to playoffs. When we found out that we still had a chance for playoffs when we were 3-9, we all decided to really put in everything we got. The mindset of “If it doesn’t happen it doesn’t happen but at least we tried.”. 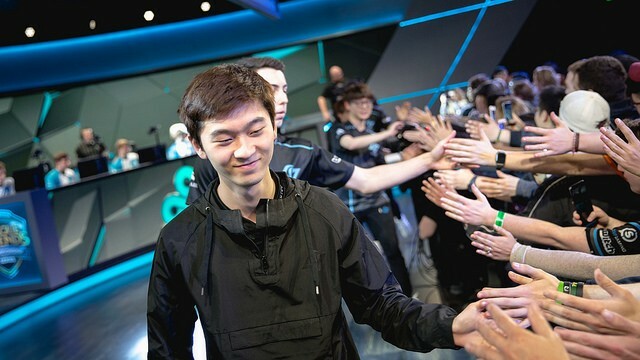 ¤ Who do you think is the most influential person to have brought CLG to where it is right now? When we were 3-9, we had a meeting to talk about how we are doing things, how we are picking, and how we are communicating. After the meeting, our team got to the conclusion on what we wanted to play, what style, how we wanted to practice, and how we wanted to communicate. It was a collective effort from everyone. When you are at your lowest point, there is not much you can lose. We just decided that we should try whatever we can to be better. ¤ Why did CLG take so long to collectively discuss about some of the issues? As you said, CLG only started to discuss after you guys went 3-9. I honestly don’t think anyone in CLG expected us to do so poorly in the beginning. When we were 0-3, it was pretty bad. However once we got to 3-3, we started to think positively. We said “Oh okay, it was just a bad start.”. When we were 3-5 and 3-7, we thought the same thing. It was really naive of us to think that we could instantly change things. If things weren’t working for us, we should have changed things a lot faster than we did. I’m glad that CLG did change things around instead of sticking to what we were doing. It is unfortunate because I know we could have done it sooner. ¤ Who is the most positive and outspoken person on your team? I think Darshan and Huhi are the most outspoken. If they have a problem with the team, they will just point it out. Reignover also is outspoken. Because Reignover focuses a lot in the early game, he will immediately point something out if things don’t go well. ¤ Reignover said that even though CLG was on a loss streak, the team’s morale was still positive. Which member on CLG kept the morale going? All 5 players were just all really nice (laughs). No one necessarily made the atmosphere bad. Even though we were losing a lot, we didn’t hate each other. We didn’t even argue a lot even though we were tied for last place. It was actually really surprising. This is because, a lot of the teams get frustrated at each other if they start losing frequently. Although at one point CLG was tied for last, I think we all still had confidence in each other to play well. Our team just thought we were going over a hiccup. ¤ In the interview with Reignover, he seemed extremely confident for the game against Echo Fox. Almost to the point where he knew CLG was going to win. Were you also as confident as Reignover? Or was it just Reignover? Uh, I think it was just Reignover (laughs). In general, I think everyone was confident going into this game. We go into every game with the mindset that we are going to win. We never go into a game and think “Okay, we are going to lose.” (laughs). I think it was good that Reignover had that type of mentality, so he could stay confident. ¤ What is the mindset your team or you as an individual have going into the last 2 games? We are going into these games thinking that we need to do whatever we can in order to win. We are so close now. It will feel really bad if we were not able to make it. If we ended up losing the first game, we could be like “The games don’t matter as much since we cannot make it to playoffs.”. Of course, it would still feel bad. However, it would not be as bad as losing a game next week. If we lost a close game off a very small decision, that would feel really bad. All we want to do is to close out this season strong. ¤ Lastly, is there anything you want to say to your diehard CLG fans that have stuck by your team? The fans are probably pretty happy that we are 4-0 right now. They also probably wish that we did this sooner. Maybe at the beginning of the split (laughs). If we do not make it to playoffs, I hope that the fans will still have trust in us to do well next split. Hopefully that doesn’t happen and hopefully we will make it to playoffs.